In the chilly months thermals and base layers are ideal for keeping kids warm. From layering up under school uniforms to staying cosy when skiing, a kids' base layer is a winter essential. 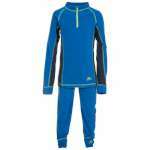 In our range of kids' thermals and base layers you'll find fantastic brands at fantastic prices. 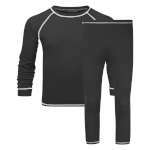 As you browse, why not check out our money-saving sets of thermals for a real bargain this season? They make great pyjamas too!